When most people think of visiting Hawaii, they think of white-sand beaches, active volcanoes, and a laid-back surfer culture. Melissa King -- Top Chef Season 12 finalist, first-ever chef ambassador for Whole Foods Market, and one of the best female chefs in San Francisco -- thinks of food. “As a chef... I want to learn about the regional cuisine, see where their food comes from, what’s growing there, and how are they using it and turning it into dishes,” she says. After hearing about Hawaii’s developing culinary scene a couple of years ago, King decided to take a trip to Oahu to visit several farms and eat her way around Honolulu and the North Shore. In addition to gaining some much-needed R&R, she returned to the mainland a different chef. Here are her picks, from literally farm to table, as well as what she learned along the way. 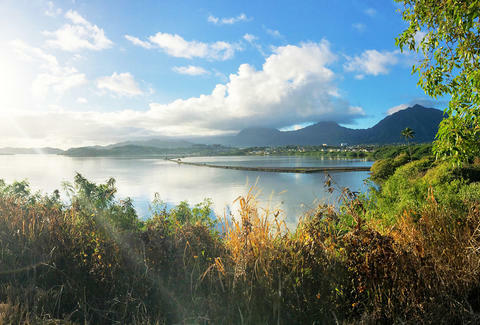 Built nearly 800 years ago, the He‘eia Fishpond has weathered natural disasters and human development; since 2001, a nonprofit has been working to repopulate its fish. Currently, they raise moi (pacific threadfin fish), limu (seaweed used in poke and salads), and oysters; and offer guided walking tours for visitors. Because you can’t cook every meal while on vacation (even when you’re a chef), King also made sure to sample local foods prepared by other people, including that famous Hawaiian treat, shaved ice. 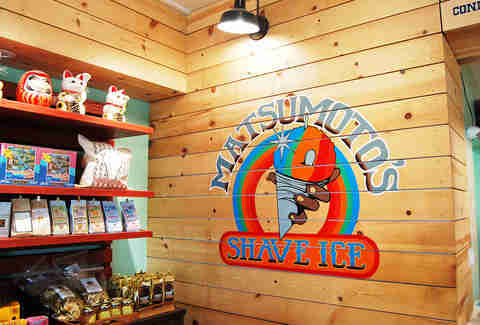 (She recommends Matsumoto’s Shave Ice on the North Shore.) As for the traditional poke dish, she swears by Foodland. Le, who was born in Honolulu to Vietnamese parents, opened The Pig & The Lady (“Lady” refers to his mother, who is also involved in the business) as a pop-up in 2011. 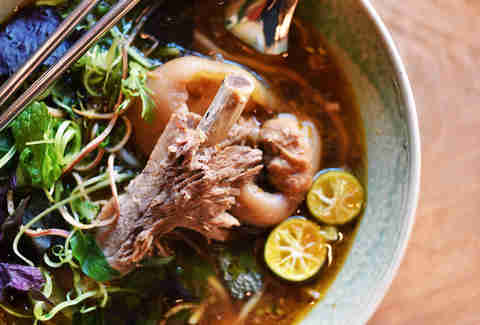 The restaurant now has permanent digs in Chinatown and a presence at several area farmers markets, where it serves dishes such as spring rolls, vegetarian stews, and French-inspired soups. What made the meal particularly memorable for King was noticing fellow diners appreciate Asian food in a new, elevated light. 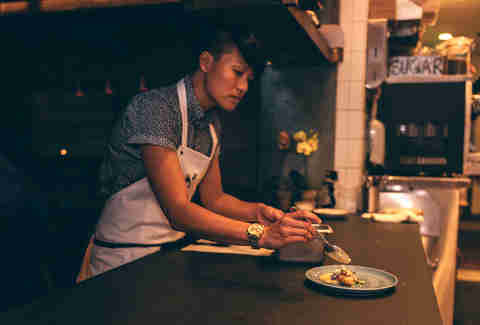 “I came back to the mainland thinking, ‘I am Chinese and I need to do more with my style of cuisine and really be proud of the food I grew up with and share that through my dishes,’” she says. Daisy Barringer is an SF-based freelance writer who was once lucky enough to eat Chef King’s food. She counts it as one of her favorite meals she’s ever eaten. Follow her on Twitter.